Home / Past Events / SALUTE! 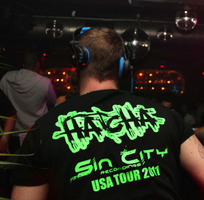 Memorial Sunday BBQ With DJ HATCHA (Sin City/UK) & BassHead Music! SALUTE! 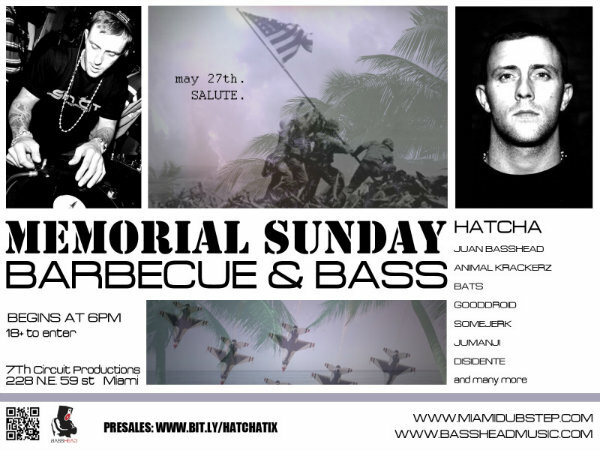 Memorial Sunday BBQ With DJ HATCHA (Sin City/UK) & BassHead Music! Join the BassHead Music family for our Memorial Sunday barbecue with HATCHA, the Godfather of Dubstep! Everyone has Monday off, so we’re getting started at 6pm, and going all night! HATCHA will be playing 2 sets: 1 of classics, 1 of new bangers. current military and veterans receive half off admission. Salute! SEE YOU ON THE DANCEFLOOR! SALUTE!